Elderly people with declining health, physical and mental cognitive abilities are increasingly continuing to maintain or start a taxi profession. However, elderly taxi professionals are more prone to mistakes and accidents due to their inherent weaknesses. There is an increase of elderly people working as taxi drivers, for a number of reasons mainly economic and professional. Nevertheless, there is a downside to the presence of the elderly in this profession. The number of elderly having accidents as taxi drivers is on the rise. Passengers and drivers both notice the negative impact of age upon health and driving, such as cars honking on the road, reduced sign visibility and slow pace. However, circumstances dictate necessity, with lack of drivers in the market and unemployment forcing elderly to continue working longer. 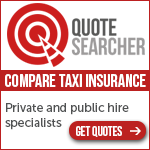 The average age of taxi drivers is nearly 60. 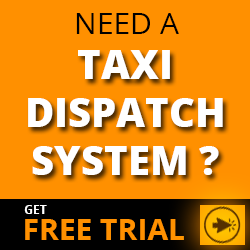 The taxi industry is making improvements which include better training programmes and medical health checks. Recent statistics from the Health, Labor and Welfare Ministry, show that the average age of corporate taxi drivers was on an upward trend — 59.3 years as of 2017. This is 3.4 years older than 10 years ago, and greatly exceeds that of the average age of all occupations at 42.5 years. Date supplied by the Institute for Traffic Accident Research and Data Analysis, based in Tokyo, has shown the number of accidents involving taxis has been halved over the past 10 years to 13,526 in 2016. However, looking only at cases involving taxi drivers age 65 and older, the figure amounted to 6,108, up 36 percent from 10 years ago. Experienced drivers find it difficult to become aware of their own weakening abilities. Enhanced training and healthchecks will aid improvements. However, some taxi companies such as Daiichi Koutsu Sangyo Co., based in Kitakyushu, have introduced their own mitigating measures, by installing a device in cars to notify of inter-vehicular distance with an alarm. After the device was installed in about 400 taxis operating in Fukuoka and other areas in 2016, the number of rear-end accidents declined by 75 percent. Tobu Taxi, based in Tottori, has many elderly drivers, and employees over age 60 account for 80 percent. The company makes efforts to reduce burdens on drivers, such as assigning drivers with decreased vision to daytime or short-time shifts. And it also instructs drivers on stretching exercises they can do in a taxi. The company’s mandatory retirement system — age 70 — was abolished in February. Legal and government measures are being reviewed so as to increase the number of general age taxi drivers and avoid reliancy upon elderly drivers. However, young people do not want to become taxi drivers because of working conditions such as long hours and low wages. Due to deregulation in the early 2000’s, competition intensified and incomes of taxi drivers has further declined. In 2017, the average work hours of taxi drivers stood at 2,268 hours a year, about 6 percent longer than the average of all occupations, while the average annual wage was ¥3.32 million, 30 percent lower. Unless the profession is made more lucrative it is unlikely the number of elderly drivers in the profession will be reduced in the near future.